I was recently asked by Diane Da Costa to put together of list of must have items for a Christmas gifting guide for Uptown Magazine’s website. Thank you Diane. That was sweet of you. Check it out if you’re still trying to figure out what to get in the remaining days before Christmas. 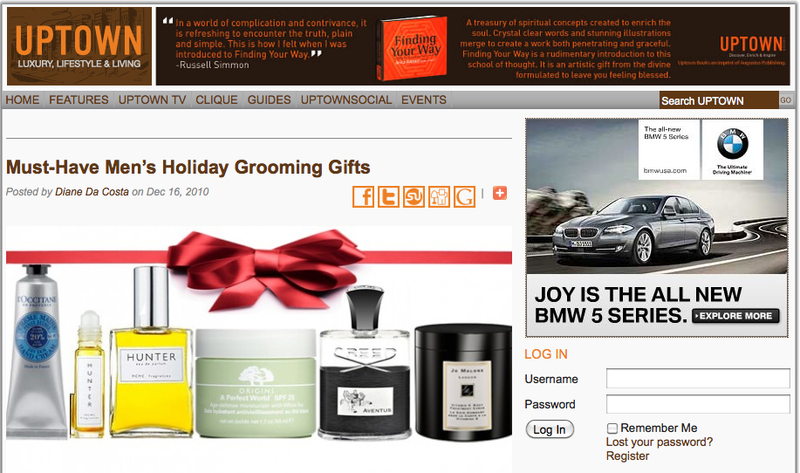 This entry was posted in Fragrance Review, Product review and tagged Christmas Gifts, gift guide, Gift ideas for him, holiday gift ideas, Men's Colgone, Men's Fragrances, Men's grooming. Bookmark the permalink.